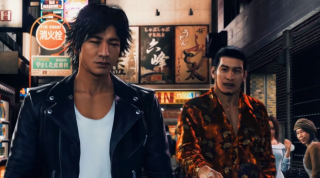 Yakuza spin-off, Judgment, may be headed to PC. In an interview with IGN Japan (via ResetEra), producer Kazuki Hosokawa intimated that the team was keen to release the series on formats other than PlayStation 4 in order to "increase the player base". While he dashed hopes of a Nintendo Switch release any time soon, he did not do the same for PC—instead, Hosokawa said the developer was "considering the possibilities" across a range of additional formats. "I think the hurdles have been lowered by putting [Yakuza] on Steam," Hosokawa said. "I think that we were able to increase the player base because people who do not have PS4 can also play the games. At present, [Judgment] has not been decided yet, but it is considered as one of the options. We are in the process of considering the possibilities not only for Steam but also for other formats." Last week, an ESRB rating tipped us off that Yakuza Kiwami 2 was due to hit PC. The game initially came out on PlayStation 4 in Japan in 2017, and it's a remake of 2006's Yakuza 2 in the Yakuza 6 engine. Yakuza Kiwami came to PC last month, too, but before you play that, you might want to jump into Yakuza 0, which Phil gave 90/100 in his review last year.